Music for your wedding, company event or party! 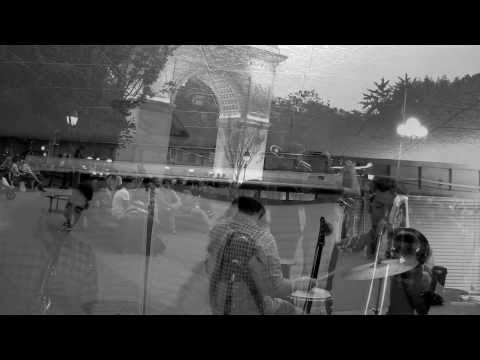 The Recessionals Jazz Band has been performing in and around New York City since 2007, and in that time has performed at nearly every major landmark the city has to offer! Through working for agencies such as First Choice Musicians (created by Musicians Local 802 featuring some of the most established of New York City’s professional musicians) The Recessionals have developed a reputation for delivering high-energy performances at some of New York City’s most prestigious venues including opening for Aretha Franklin, and Michael Bolton. 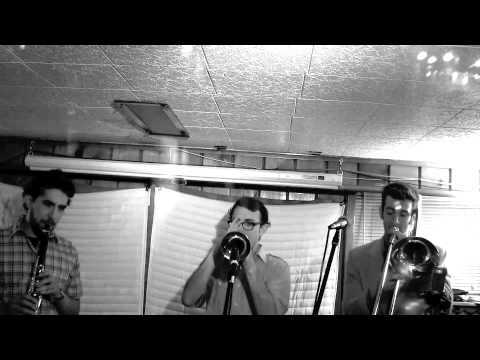 I hired the band for a New Orleans style funeral. They did an amazing job! The Recessionals played at our wedding in April, and it was absolutely perfect. The guests loved them, and their jazz style worked for everything from light background music during the meal to dance music after. They arrived without a hitch and were very easy to work with. Everyone loved them and if we went back in time and were doing it all over, we would surely hire them again! Professional jazz band. No worries, just great musicians. My wife and I were looking for a professional jazz band to play our outdoor wedding. We were overwhelmed with the wedding planning and did not have time to give the band a lot of direction. We simply asked them to play for the procession and during the reception with a special song that would be used for our dance. Martin and the band knew exactly what to do. I never even thought about the music. It just made everyone happy and turned into a great party that young and old could enjoy. If you want professional jazz musicians at your wedding or event, look no further. The Recessionals will make everyone relax and just enjoy the day. I was looking for a cool, 1920s, upbeat vibe for my cocktail hour, and The Recessionals did an amazing job setting the tone. Marty was a pleasure to work with. My guests loved them! And if you're looking for strings for your ceremony, his wife is in a great group. We hired The Recessionals for a Gatsby-themed party, and they fit the bill perfectly. I work in an upscale assisted living facility, and the residents were thrilled--they said The Recessionals played the kind of music that they used to dance to. Outstanding! The Recessionals gave a fantastic performance for my wife's 30th birthday. They were the perfect compliment to our Mardi Gras themed bash of 85-90 people. In the weeks leading up to the party they were quick in response, either by phone or email and the price was perfect. I couldn't say enough about the professionalism and TALENT of the Recessionals. I recommend them for any event, large or small. Insurance: $2,000,000 - ﻿Event insurance provided by Event Helper. The Recessionals combine hot solos with traditional jazz and old-timey melodies. They make audiences get out of their seats and start DANCING TO JAZZ. 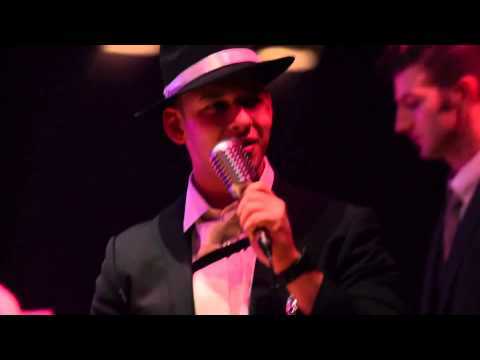 Whether they are performing at a private event or an underground speakeasy-themed party, the Recessionals captivate their audiences with music that transports them to a different era. 1. Not your typical band of weekend warriors. Our musicians are working professionals who perform this music nightly. They are graduates of premier conservatories, and dedicated artisans who will make your event really stand out. We care deeply about the quality of our music in any setting, and are constantly striving to be the best we can be. 2. Professionalism at it’s finest. Working in the music industry, the skill you find most lacking is professionalism. So many bands and musicians lack this crucial skill. Our band will always arrive early, dress appropriately, bring all the necessary equipment, treat guests with the utmost respect, and most importantly, provide the client with exactly what was asked of us. We guarantee there will be no last minute headaches, so you can focus on what’s really important. We understand fully that in the era of DJs and recorded music it is a luxury to have a live band. But nothing compares to the sound and the experience of live music. It’s memorable, it provides ambience to your event, and it’s real. We do our best to provide this experience at a rate that not only the super wealthy can afford. 4. The only source of knowledge is experience. Albert Einstein said it best. There is no substitution for experience. The Recessionals Jazz Band has performed at hundreds of events, and we are constantly improving the ways we can make our clients happy. We are prepared for many hiccups you might not see coming, and we know exactly what we need to do on the bandstand. Other then the actual performance at your event, the most important job of a hired band is communication. This is the area in which we really excel. Please read our customer reviews below! We love to talk with our clients. We respond quickly to emails, and executing your vision is our ultimate priority. You can always talk to us about any concerns or requests that you have regarding music at your event. We will help you make decisions and make you feel perfectly at ease. 6. Good musicians play their instruments. Great Musicians play the room. Are you worried your band will be too loud? Not loud enough? The Recessionals Jazz Band will provide the perfect volume for your event as well as the perfect song selection and ambience. Years of experience have taught us how to read the room. We can sense when an audience would like the volume to be low and when they would like something lively to dance to. Our roster of high-caliber in demand players allows us to customize the instrumentation to fit your personal preferences. Our typical band is a 5-piece band but we can expand up to a 7-piece, or go as small as a Trio. Not sure who will do the announcements at your event? Let us do that for you! We have Emceed countless events and are very comfortable public speakers. We can also provide a P.A. and microphone for a small additional fee. 9. Whatever the client wants, we will provide! 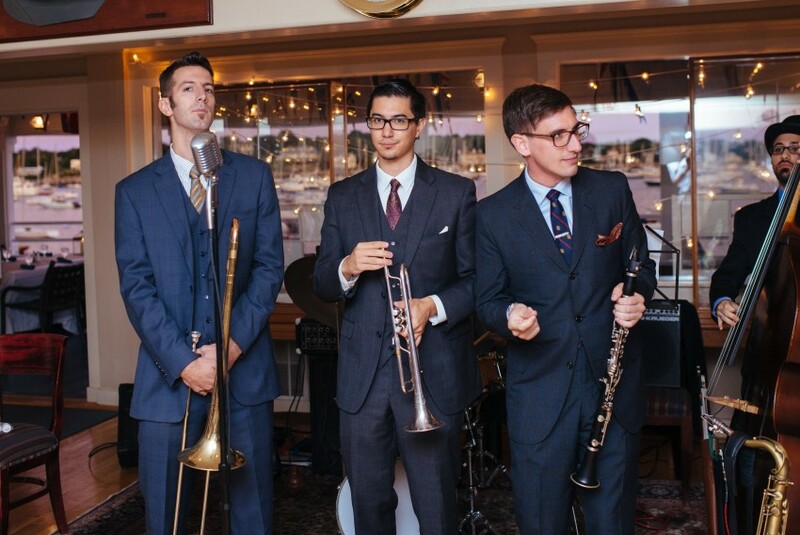 The Recessionals Jazz Band will happily accommodate all of your musical requests. We can also help you find other entertainment professionals that will make your event unforgettable. Recently I helped a client hire a troupe of burlesque dancers. They were very grateful and it was a terrific wedding! 10. We love to play for you! We love to play music that makes people happy. We are thrilled to get to share so many deeply personal experiences like weddings and anniversary parties with so many wonderful people. It’s a real honor and a privilege.